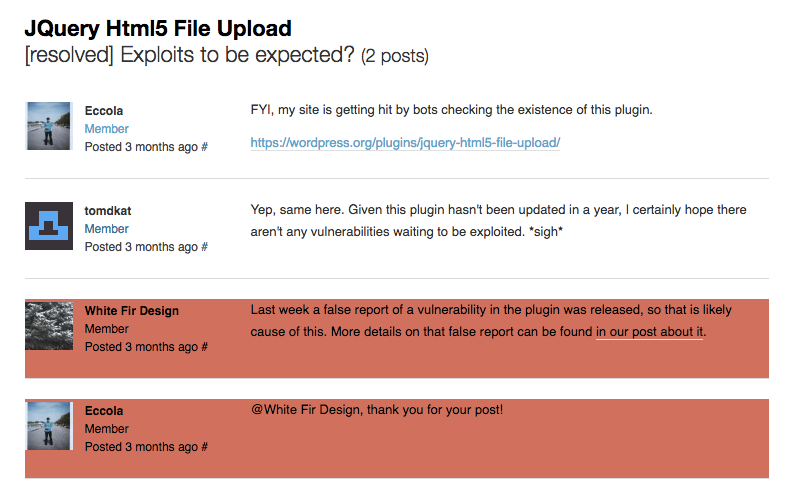 Recently we have discussed about how someone (or someones) at WordPress is disappearing some of our posts from the their support forum, including an instance where the original poster was left with only bad information from a forum moderator, while our post with the solution to their issue was deleted. Why they are doing that is a mystery, but the end result is that public is left without important information like in that case. While looking over the most recent round of this we noticed that whomever is doing this feels the need to hide what is going on from the public by deleting not just our posts, but in one case deleting a benign response from someone else thanking us, which would have made it obvious that our post was removed if that response remained. You can see that they not only removed our post, but the response to it. The response couldn’t possibly have lead to “serious consequences” if it remained and there is no “valid legal, security, or safety concern” that could have required it to be deleted. So the only explanation left is that whomever deleted our post wanted to cover up the fact that they were doing that from the public, since if the reply remained it would be obvious that another post by has had been removed. 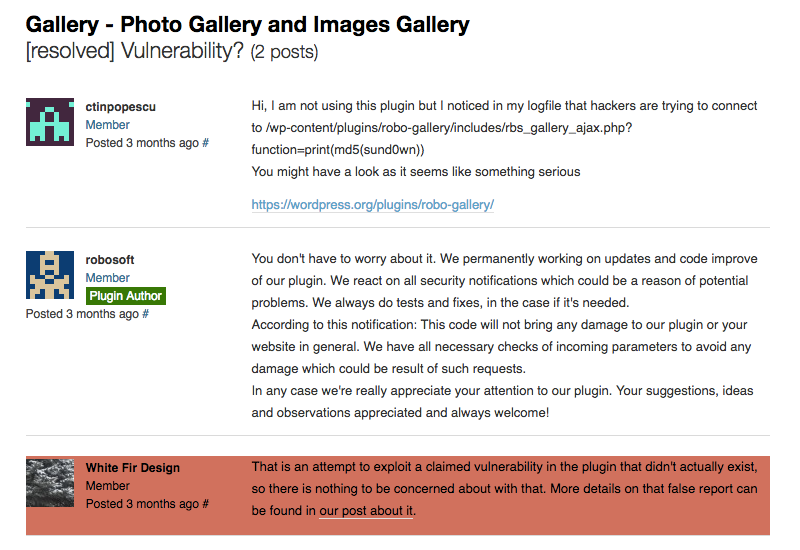 What would be a “valid legal, security, or safety concern” that would require that to be deleted? Again, what would be a “valid legal, security, or safety concern” that would require that to be deleted? 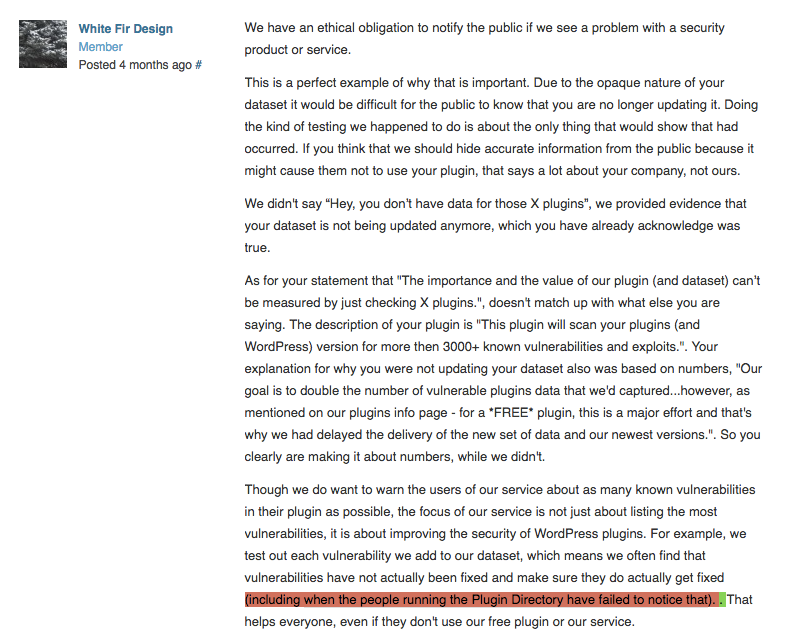 It is quite troubling that someone is trying to sweep under the rug a serious and ongoing problem with WordPress’ handling of security issues in plugins, instead of working on making sure that the problem doesn’t happen anymore.